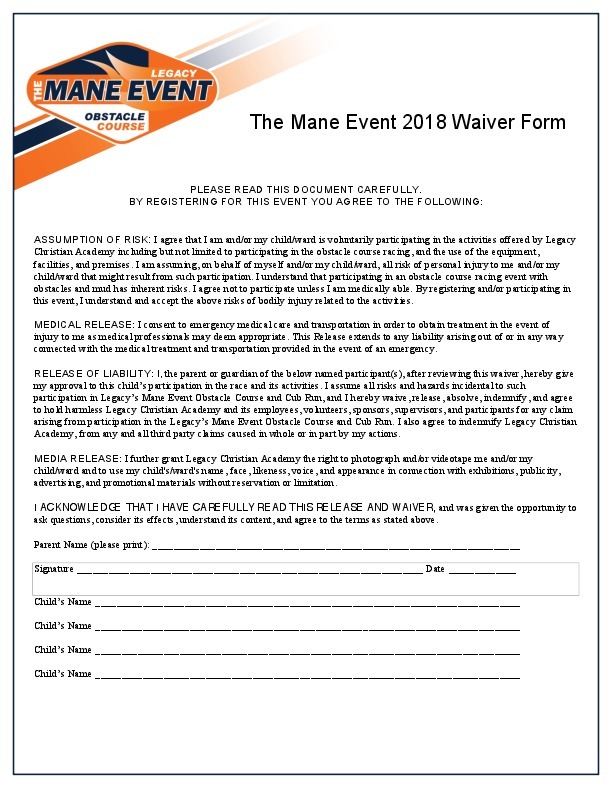 Please read this document carefully before registering for the Mane Event. Hard copies have been sent home with all students PK-6. Weekly prizes for pledges raised and submitted by Tuesday each week. Special prizes for the top five pledge raisers!